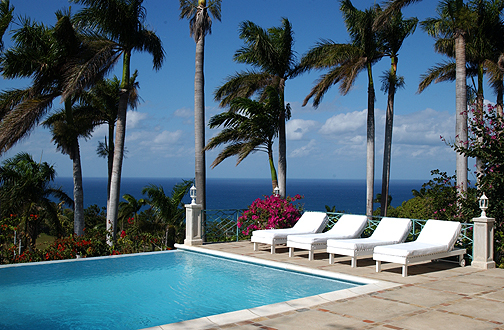 Vista del Mar is remarkable for its magnificent view of the deep blue Caribbean Sea and peaceful, private location. 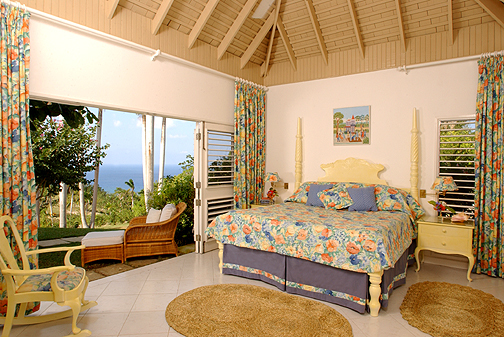 On a prize site above the sea, it is only minutes by complimentary shuttle or private golf cart from the Tryall Club Great House and shops, private beach, and golf and tennis pro shops. 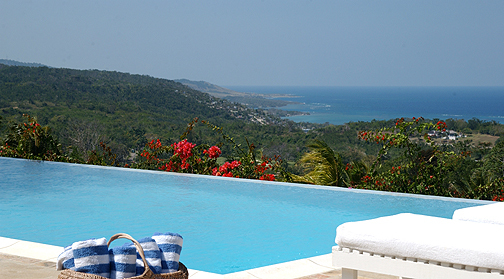 Vista del Mar is remarkable for its magnificent view of the deep blue Caribbean Sea and peaceful, private location. 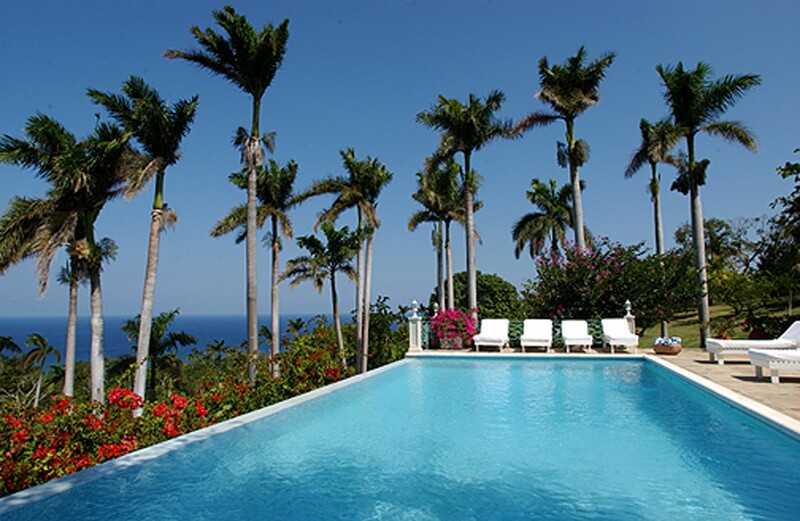 On a prize site above the sea, it is only minutes by complimentary shuttle or private golf cart from the Tryall Club Great House and shops, private beach, and golf and tennis pro shops. A car is not necessary. The spacious living room is a dramatic 1,400 square feet and opens through 31 feet of folding glass doors to the verandah and casual poolside dining area. 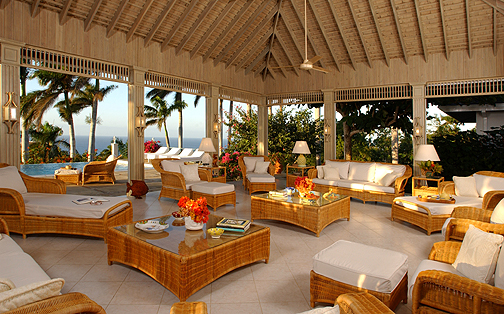 The piece-de-resistance is the massive open-air verandah furnished in white canvas on natural wicker. 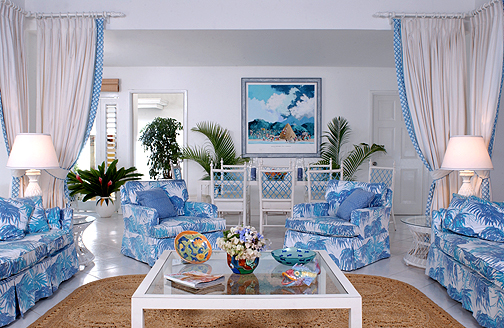 The Caribbean Sea view is breathtaking. 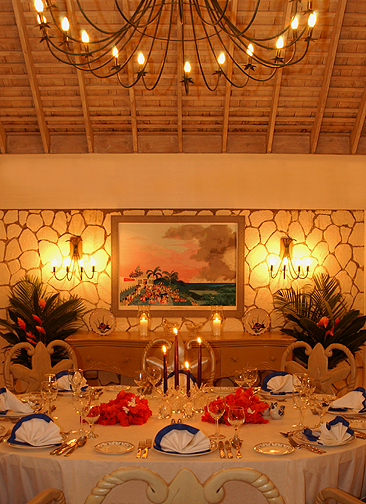 Three inside and outside dining areas offer options of dining casually or more formally. 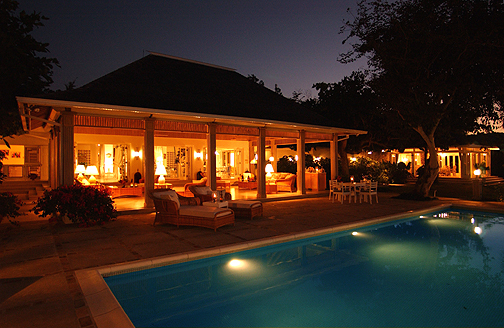 The glamorous free-standing glass-walled dining pavilion is stunning at night. All bedrooms are air conditioned. 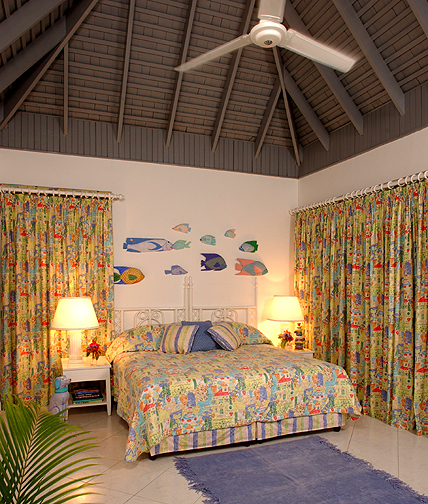 Nine ceiling fans supplement the tropical tradewinds. Children under 16 years old are not permitted. 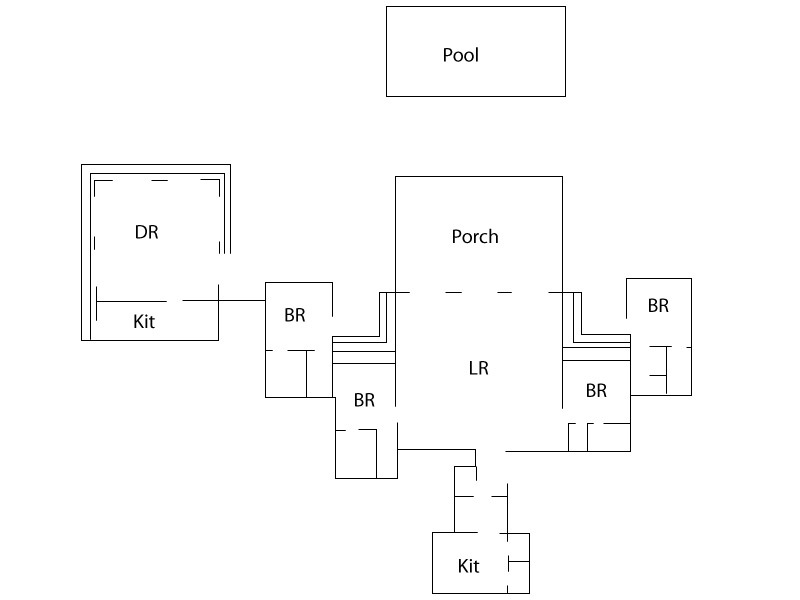 King size bed, cable television, louvered doors to lawn, pool terrace and view; en-suite bathroom with double-basin vanity, deep bathtub and separate walk-in shower. Optional king size or twin beds, cable television, louvered doors to lawn, pool terrace and view; en-suite bathroom with double-basin vanity and walk-in shower. Optional king size or twin beds, cable television, louvered doors to view; en-suite bathroom with deep bathtub and walk-in shower.